Georgia is a beautiful state known for its fascinating past. History buffs will find plenty to do here, from Civil War sites to historic homes and heritage museums. One of the most powerful places to visit is the National Museum of the Mighty Eighth Air Force. You’ll find exhibits, artifacts, archival materials, and more dedicated to the history of the Eighth Air Force of the United States Army Air Corps. It’s an incredible place to explore, and it’s just a short drive from downtown Savannah! 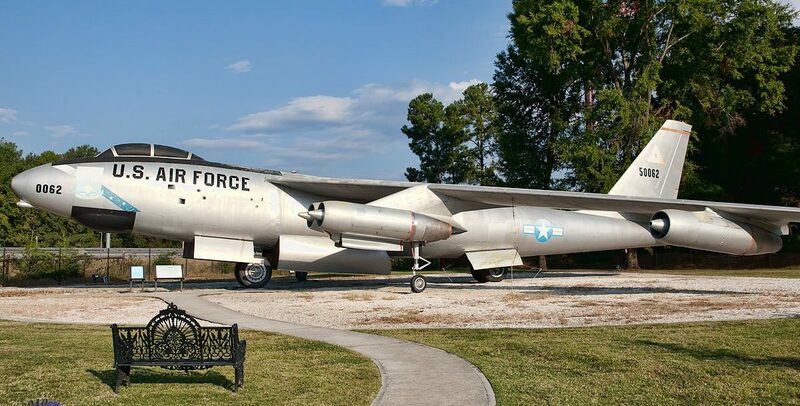 Here are some of our favorite attractions at the Mighty Eighth Air Force Museum. Learn more about the Mighty Eighth Air Force Museum and other local attractions when you download our free vacation guide. It’s full of recommendations for places to visit during your stay at the Presidents’ Quarters Inn! Did you know that the Eighth Air Force is regarded as the greatest air armada of all time? Inside the 90,000-square-foot museum, you’ll find many World War II exhibits as well as a B-17 Flying Fortress bomber, a model of a Messerschmitt Bf 109G fighter, and a 3/4-scale model of a P-51 Mustang fighter. Aircraft on display outside include the B-47 Stratojet, MiG-17, and F-4 Phantom II from the post-WW II Cold War era. Visit the museum’s website for a full list of exhibits. The Mighty Eighth Air Force Museum offers guided and self-guided tours each day. You should plan to spend at least two hours exploring the facility’s many indoor and outdoor exhibits. Another must-see attraction is the Memorial Garden, located directly outside the museum. This peaceful area pays tribute to those who served in the Eighth Air Force during WWII and who are being remembered by families, friends, aircrews, and others. There are many beautiful memorials to see throughout the garden on both sides of the reflective pool. While you’re in the area, be sure to stop by the Chapel of the Fallen Eagles. This stunning stone chapel gives visitors a place to quietly reflect. Nearby is the Garden of Folded Wings Columbarium, which provides a final resting place for those who recognize and support the importance of the US Armed Forces. Exploring the spacious museum will likely work up an appetite! Luckily, the National Museum of the Mighty Eighth Air Force is home to a traditional English Pub. It’s open for lunch Monday through Friday from 11 a.m. to 2 p.m.
After an unforgettable day at the Mighty Eighth Air Force Museum, take a short drive to our Savannah bed and breakfast and relax! Our inn is less than 20 minutes away from the museum and has everything you need for a memorable getaway. Enjoy comfortable accommodations, luxurious amenities, and beautiful views throughout your stay. We even offer a delicious gourmet breakfast each morning! Browse our accommodations to see what’s available and contact us to make your reservations. We look forward to having you!